You want the safest car for your family, but researching a car before buying or renting one is only the first step. 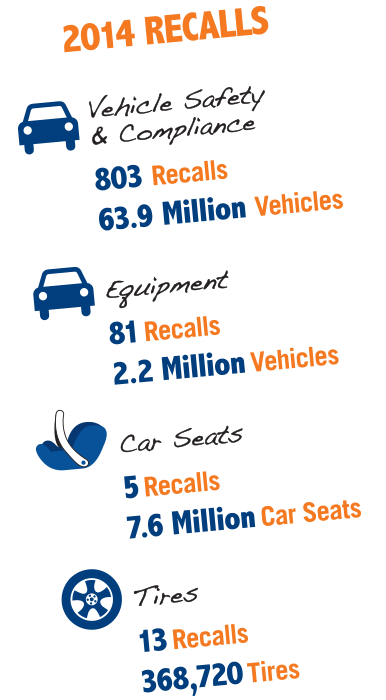 Every year, millions of vehicles are recalled in the United States, yet one quarter go unrepaired. Whether you're in the market to buy or rent a car, you also want to make sure any recall notifications of safety defects have been addressed. Even after buying a car, it's just as important to stay informed of recalls—not only on your car, but on your car seats and tires, too. To help car owners, buyers, and renters stay safe on our Nation's roads, NHTSA provides several resources for consumers to learn about safety recalls (PDF 396 KB), stay informed of notifications, and file complaints about safety problems. So let's start with the basics.